I’ve been in Hamburg several times but not as often as you might think with several friends and my brother living there. But before I go there again in early June to celebrate Eva’s birthday I would like to give you a short overview of what there is to see in Hamburg. Start with the City Center or rather the shopping district that streches from the main station down to one of Hamburgs many places with water, the Alster. Everything further out from this kind of lake is the place to live in Hamburg. The view here is fabulous and you can take a nice little walk along the alleys on the shores of Alster. 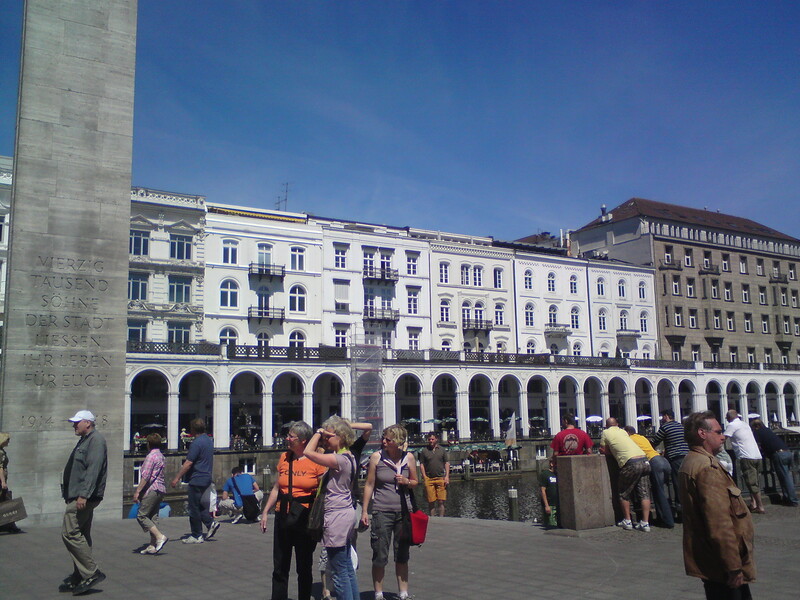 From the city center you can also walk to the harbour. Here you find first of all the Speicherstadt, an old district where goods were stored that is now remodelled into a new, modern neighbourhood called Hafen City. These new streets looked great when I saw them two years ago but very dead. There were hardly any people around. A bit of a weird feeling. I’ll check on that when I go back there in June. 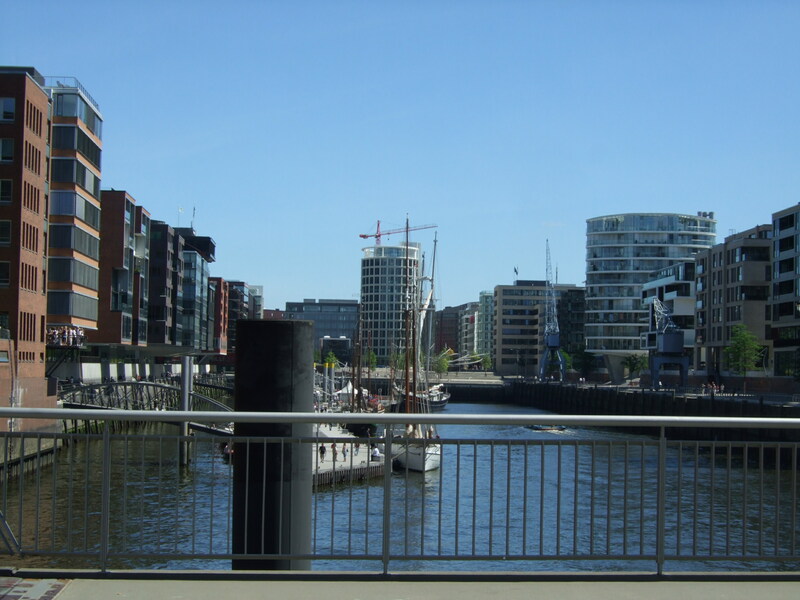 Further upstream you will find Hamburg’s famous fish market and the neighbourhoods of St. Pauli with its infamous Reperbahn with all its shows and sexshops and the nice, a little alternative and quite packed neighbourhood Schanze to the North and Altona, to the west. Check also Irena’s guest post on the Christmas markets here. 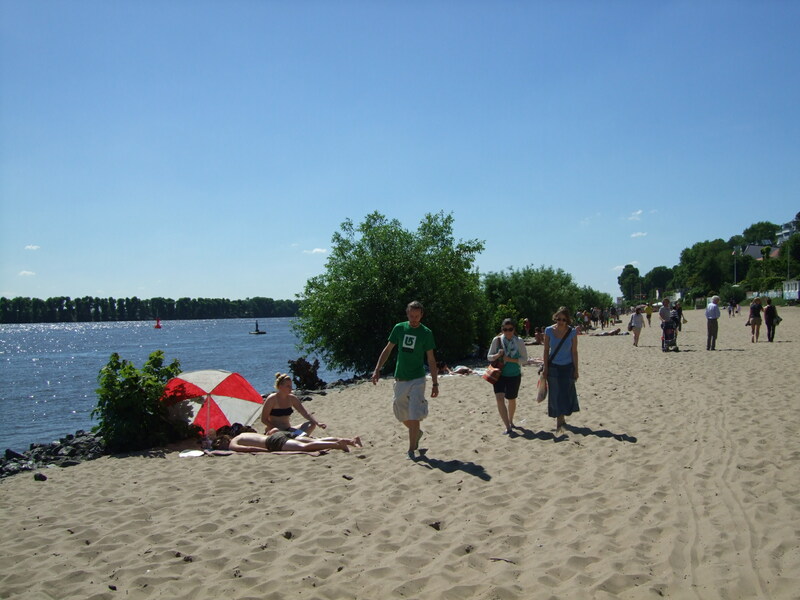 And Hamburg also has a beach. It is even further upstream and you reach it by taking a ferry (and once again I have to mention my love for cities whose public transport system includes ferries like Bangkok or Sydney). We did a trip to the lovely Strandperle, a bar at the beach. To get there take a westbound ferry from Hafen City or further astream to Neumühlen and from there walk along a small paths with the most lovely old captains houses a bit further west until you reach the Strandperle. A perfect place to let the day go by and enjoy the sunshine. Last but not least: Hamburg is known for not having the best weather in Germany. But from my pictures you can see that this is not necessarily true. Especially the first weekend of June two years ago was super nice! 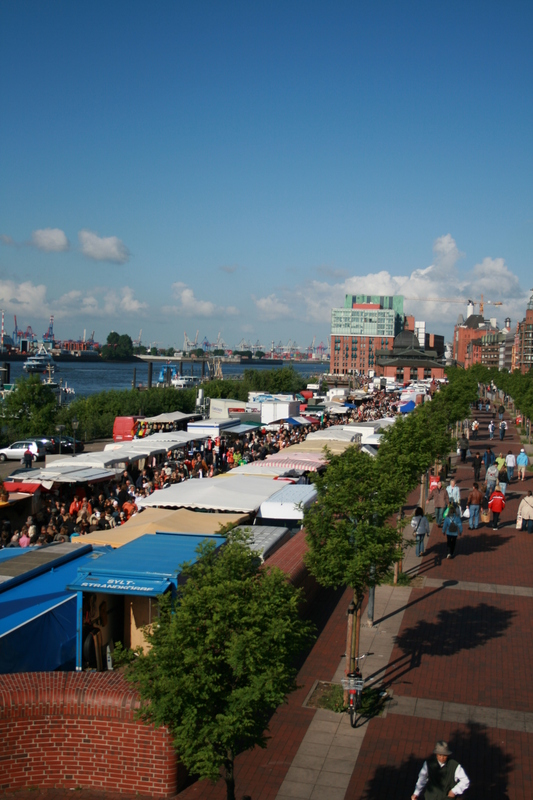 This entry was posted in Germany and tagged Hamburg, Short Trip, Summer by kathatravelling. Bookmark the permalink.